This is one of the most important forms of communication. 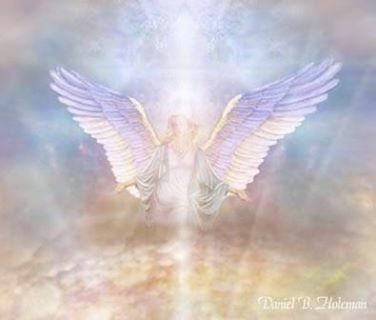 Intuitive synchronicity in real life depends on the belief that your angels are always with you, for indeed they ARE always with you. They are waiting for a sign from you for their help and guidance. Establishing regular, even daily, communication is more important now than it has ever been in this world. The main reason is evolution and achieving it. The next reason is ease and happiness in this life. 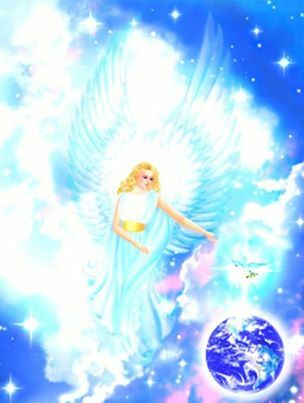 Raising your vibration on a daily basis is the first unavoidable step to being in constant communication with your angels and their divine guidance. When I first decided that I wanted a way to communicate with my angels, I decided that a sneeze would confirm my last thought. I had no allergies and never sneezed so I concluded that a forceful one would be a message. I had many an AHA when this seemed to work yet it was random and sometimes I could not remember my last thought. This was not reliable enough for me. So, I started to experiment. I suggest this for you. A form of meditation and clean eating must became habits then you can begin asking for specific signs from your angels. 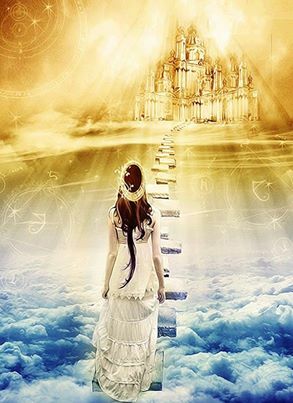 Many of you think you can skip these steps yet you want divine guidance, loving guidance from the highest vibration. You must match that vibration to hear it, feel it, see it and know it. Start here. I will post more information in a few weeks. Blessings to you all! With 5 planets retrograding, including Mercury, and the Full Moon in Scorpio amping up the discord, we are seeing the ramifications of the wrong type of guardianship of our planet. These are exciting times for the conscious and trying times for those who refuse to see the results of their actions. The boomerang effect! This whole year is a purification and completion of this nine year cycle. To start a new cycle many things that no longer work have to go! This may mean a variety of things ranging from toxic thoughts to toxic relationships to toxic oil spills. We as a species are evolving whether we know it or not, whether we like it or not. Change IS upon us. 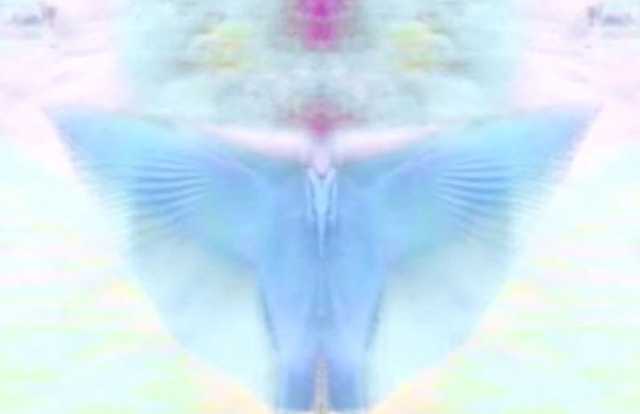 There is alot of angelic help all around us if we tap into it though meditation, quiet walks in nature, music, dance, painting, singing, writing and any creative endeavor that takes us out our left brain. With all this retrograde activity, we are guided to use our right brains more. This is how we receive Divine messages. This keeps us sane in insane times and builds brain strength so we can soon operate using both sides in tandem. This is a powerful year, so to use it well becomes an art form in itself. As the Tibetans say: Eat half as much, Walk twice as much, Laugh three times as much, Love endlessly! We have entered into the beginning of the astrological year with the New Moon in Aries cycle. The energy is high as this is a supermoon and the astro- aspects are intense. This feels more like a full moon and heralds in an intense 12 month period where our actions will speak so much louder than our words. We are entering a critical period of choice, personally and globally. How much do we care about our planet and all life upon it? What really matters to us? Are we all connected and does every thought, word and move we make reverberate through our world? As with all new moon cycles, we can lay out our desires and see them come to fruition as the month progresses. More than ever, clearing the mind and heart of past transgressions is imperative. This is a never ending task, yet unburdening ourselves becomes easier as we learn to let go. Meditation helps us to clear our minds and add space to our being. Alone time connects us to ourselves. Nature helps us to heal our minds and souls and connect to the Divine. It is here, in this state of connecting to the Divine, that we finally understand the concept of letting go. It is here that we receive guidance from the Divinity within ourselves. This takes time and determination. With practice it allows us to lead with our hearts and our souls. 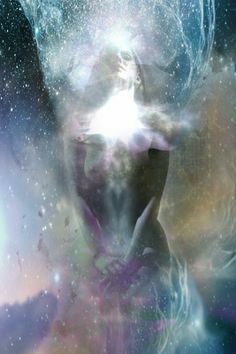 It is deep connection with our Divine selves. Please make our deepest desire to lead with compassion and love as we move forward into this highly karmic cleansing time. Those around us will need our peaceful energy and kind words to help them choose wisely and move into a more harmonious vibration. Let’s shine brightly and feel the myriad of blessings coursing around us. Spring is here! Love, lighten up and laugh alot! The Lunar Eclipse was just the doorway for a major karmic cleanout. On April; 17/18 Mars and Pluto go retrograde followed by another Mercury retrograde starting on April 28. This will be a five planet retro power punch! What does all this mean? Get ready for instant karma. We reap what we sow. If we are heading down the wrong path, not aligned with our soul, we will encounter major blocks and challenges. Also, relationship turnabouts can happen. Either endings or new beginnings as we are confronted with the true soul qualities of ourselves and others. This is an amazing time and we can welcome it and embrace it as the sorting and separating of values continue of a grander scale. We could say that this time is a paring down to the soul bone. We are ready if we have laid out our goals for this year as earth healing, organic heathfulness and mindfulness, relationship harmony, peaceful alone time, helping others, kindness and gentleness, less clutter and more communion with the Divine in ourselves and others. There are so many reasons to usher in a better, healthy lifestyle and the star lineups are nudging us in this direction. Flow with the rapid changes as many outdated ways of being fall away. Look for the new, kinder ways of living life. Let’s concentrate our energies on the bright future that is starting to emerge as more of us walk with faith into the new. Wow! This is an exceptional March 2016 with a supermoon in Pisces, two eclipses, and the Vernal Equinox! That also includes all the amazing action in the skies aka the communion between the planets. Chiron, the wounded healer is well placed in the midst of all this Pisces activity. Identifying, accepting and moving through our core wounding is the deep work of the next six month period. 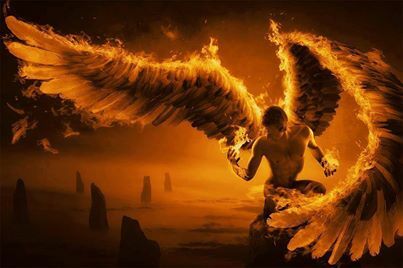 Some believe if we can identify our wounds, the energy is dissapated and falls away. Like popping a bubble, the Aha moment can be healing in itself! We are challenged to become whole beings capable of rising in love as opposed to falling in love. Falling in love is a dream state where we walk unconsciously through our lives. Rising in love is a fully conscious state, facing reality and growing through it. No longer ‘in love’, we become love! This is a new concept for many because there is no possession, addiction, competition, jealousy, neediness or any unhealthy components to rising in love. The key is to learn how to relate to each other and dissolve the notion of a relationship which is actually destructive because it entangles. A relationship ties everything into a box trapping both people with expectation. Since this eclipse cycle involves moving into healthy relationships, let’s all contemplate; Being in Love as opposed to Being THE Love! This is a maturing, majestic, revolutionary movement into healthy relating. Pisces is an extremely emotional, deep flowing energy where we must give in to our most creative impulses. Trying to control these powerful feeling energies is seen by the Universe as resistance and hard times result. Big changes are on the horizon and there is only one way to deal with them. 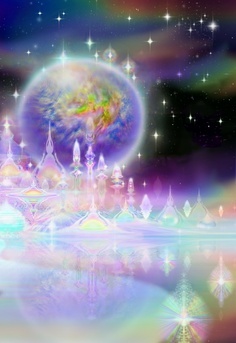 Flow, embrace, anticipate the best, move with the Divine as the tides are guided by the moon cycles. Rising in love is the next level of human evolution. There is a growing population of mystics living in your town, neighborhood and even in your home! 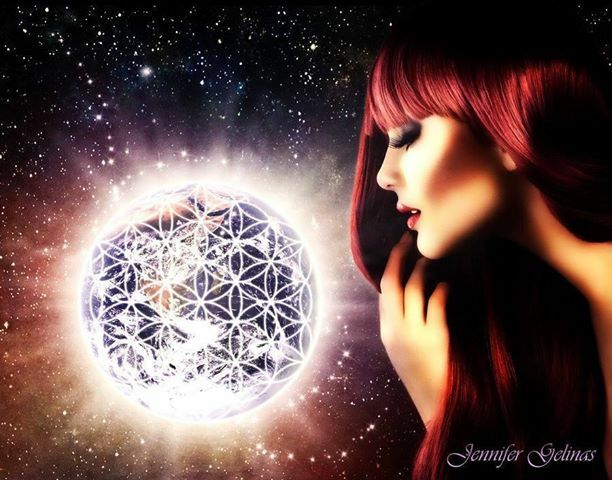 We are all evolving to become mystics living a multi-dimensional existence. Mystics see the magic in the world through communion with the Divine. This very full moon in Virgo illuminates this fact and the science behind it. We are being propelled toward the first eclipse season with enormous full moon energetic boost and constant sun flare activity. This is a very magical time. February 25- March 6 is a staging arena where we may feel some tension and overwhelm yet, if we give in and flow, we will experience high magic in our lives. Working the Virgonian values is so ripe that we are constantly confronted with the choice between perfectionism and the ability to flow, discrimination and judgment, working to pay the bills and true service, abundant health through positive thinking and health challenges enhanced by negative thinking. Staying grounded is paramount as we hurtle toward the eclipse season. Checking in with ourselves to walk barefoot on the earth, breathe deeply or just rub our knees when we feel light headed are simple habits to incorporate during our day. This is a powerful year of completions that uses the Chinese Fire Monkey symbol to make humor and joy the high road to complete this last year of a nine year cycle of evolutionary proportion. We can use the Virgonian values to anchor better choices for ourselves as we move into the next cycle. Root into the messiness of life for there lies the magic! 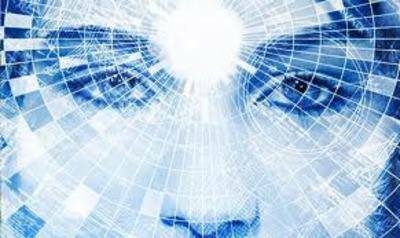 Land in your body because this is a systemic and practical revolution of consciousness. We are moving to higher dimensions and taking our bodies with us! Let’s also work on our psychic hygiene. This means monitoring how stimuli, aka television, cable, movies, radio, facebook, twitter, books, newspapers, blogs etc affect our energy. Are we energized or depleted after doses of the above? It is very important to balance this technological era with the natural world. Virgo is an earth sign so celebrating Gaia whenever possible is the magic of this astrological sign. Remember as we travel into the higher concept of Oneness that all life is golden. Many blessings! Here we are on the new moon in Aquarius cycle entering into the Chinese new year of the fire monkey. Radical changes are acomin! Expect the unexpected. Release all expectations and flow. This is going to be an exceptional year for manifestation so work on your visioning habits now. Plus, creative ideas run rampant through our brains so to ground them in reality is the challenge this year. This is not a year of hard edged planning yet a more fluid time of letting ourselves be guided by our growing intuition. After a slow start in January, we are now gathering speed as we course toward the eclipse season next month. This month of February sets the stage for rapid changes to honor this year of completions. A nine year also brings in the harvest of goals we have set in motion previously. The synchronicity of the 9th Chinese character, the Fire Monkey, makes this a potent year for realizing our full potential if we let go. Letting go means having faith that we are being guided by our own soul intuition so there is no need for control. We are able to flow with change and have learned to ride the energetic currents. We are one with life instead of trying to resist and control it. There is also Karma attached to a completion year. Mostly, repercussions of choices made previously that are not on our soul path. Some are the endings of soul contracts we made in other lifetimes. This is an important year. We may find many people, places and things falling away. A clearing on the soul path makes for more room for better choices, better lives, new potentials, new alliances, new hopes and dreams. This year is animated and fun if we keep our sense of humor and see the crazy of our own making! We are in full throttle mode for massive leaps in evolution, new ways of being and lighter energetic bodies. Yet, first we may have to do some damage control. Let the energy build so we can crescendo into a more harmonious vibe. The angels are with us, more now than ever. Trust! Have faith. Laugh and have fun! Meet magic on the Hero’s Journey through the Cosmos! Power packed planet lineups, massive solar flares, blasting forward after a heavy Mercury retrograde propelled by a Leo Full moon all mean step up your self-knowledge and contribute wherever you can! 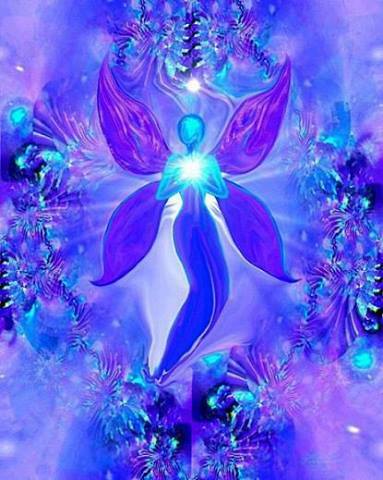 This year 2016, is a completion year of inner and outer healing. We, as human beings, must heal our inner destructive habits to insure the outer healing of our dear planet. The urgency to evolve is seen all around us as pollution of our natural world escalates, climate change is proven as a scientific fact and even Stephen Hawking predicts space exploration to find a new home planet! What????? We are resourceful and very creative. This Leo full moon shines a light on the many possibilities open to us. Let us make a healthy commitment to Gaia to restore her pristine beauty. The stars are talking loudly if we slow down and listen. Please listen. This can be a life affirming year, a shift year into healthy Earth management. This is an Earth revolution, an ECOLOGICAL revolution. We have a serious choice in 2016 because, whatever the outcome, it will propel us into the next nine year cycle which begins 2017. Let’s vote with our dollars and simplify our lives to live in harmony with Gaia. This is the year that we change the destructive tide to one that heals and restores ourselves and our dear planet! Starting off the year in Mercury retrograde is often an indication of a highly charged energetic year. The slow down happens to prepare us through reflection for the rest of the year. What is the one behavior that we could change, this year, to benefit the whole? By now, we have received enough information to understand that we are all connected. Every being on this planet is dependent on every other being. The planet Herself, is our home and exists as a sensitive entity interacting with those living on her, within her, and around her. We have truly been gifted with this life! Instead of making lots of New Year’s resolutions that we cannot keep, committing to one healthy change, no matter how small, could make a serious difference in our own lives and the life of our planet. Choice is the final frontier. There are less people eating meat now. More application of alternative power that benefits the planet. Free education for young people is a growing worldwide trend. Government funds for building small homes for the homeless is growing. Protections for wild animals is worldwide. Aquariums are releasing orcas and circuses are releasing elephants. Private funding has appeared to to keep wild lands pure. Recycling is the norm and whole businesses have been dedicated to repurposing plastic. People are spending less money on stuff and more money on traveling. We are planting alot of trees worldwide. We are making a New World, and the New World is molding and morphing us. This will be challenging yet satisfying year with four Mercury retrograde periods to mark our progress. Every few months we are asked to slow down and question our actions, words, and thoughts. We will need this time to realign our purpose, walk our talk, know ourselves more intimately, reflect and keep track of our progress. Energetically, we are being ramped up yet again. Solar flare activity is monumental. Planets are lining up. Cardinal crosses fly though our skies. As above, so below. Let’s plant seeds now to blast off this year. We are not only entering a new year, we are entering new dimensions of time and space, love and compassion, unity and forgiveness and sovereignty for all beings. This is a brave new world we are calling into our reality. As more light settles onto Gaia, as the Universe expands, we all have more abilities, more knowing, more justice, more Love! This year 2016 is the gateway many of us have been preparing for all our lives. We have endured many transitions in this lifetime. Many relationships have come and gone. Many careers have been fleeting. Many ideas of what is next have been taken on the wind. We have all re-created past lives to move through that last bit in a positive way to prepare us to be warriors of the heart. This year is primed to be groundbreaking! New green tech surprises, new amazing alliances, new money streams like no other year we have known, new beginnings and endings to pave the way and create space for more of what is humane and working in our lives are here now! Our job is to accept and have faith that we are guided and protected in the face of great change. We have a chance this year to make great leaps in a new direction that embraces, nourishes and inspires all life on Gaia. This is the challenge of 2016! So let’s make heart choices, create many random acts of kindness, give service, go green, vote with your buck, practice gratitude, be aware in the moment, talk in person to others, recharge in the natural world, find ways to make every action fun, read, sing , dance, paint, write, make love, go LARGE or go home! We have a chance to move forward and be happy in all areas of our lives. Let’s take that chance, that challenge, that destiny! Let’s be radical and grateful for this chance to evolve at high speed! Ho!